Welcome to the 2009 Toronto SUN! June 24-25, 2009. 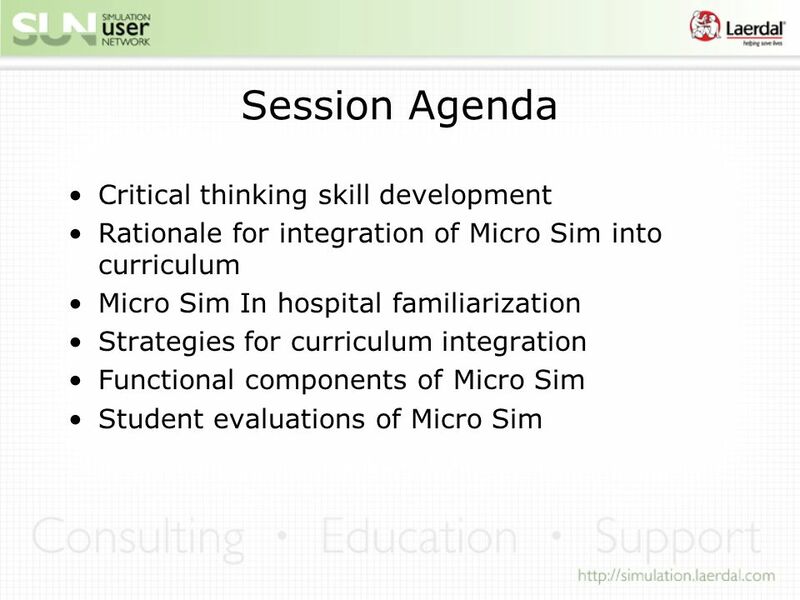 13 Strategies for Curriculum Integration Micro Sim cases can be used to teach concepts NOT taught in didactic Micro Sim cases can serve as an OSCE of application of theory Assign Micro Sim cases as preparation for Human patient simulation activities Assign Micro Sim cases as preparation for specific clinical placement activities ( eg. 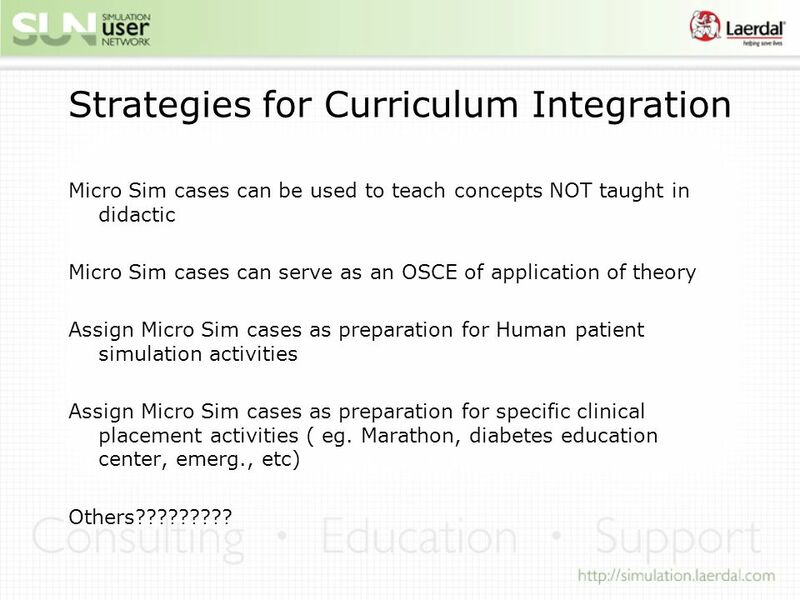 Marathon, diabetes education center, emerg., etc) Others????????? 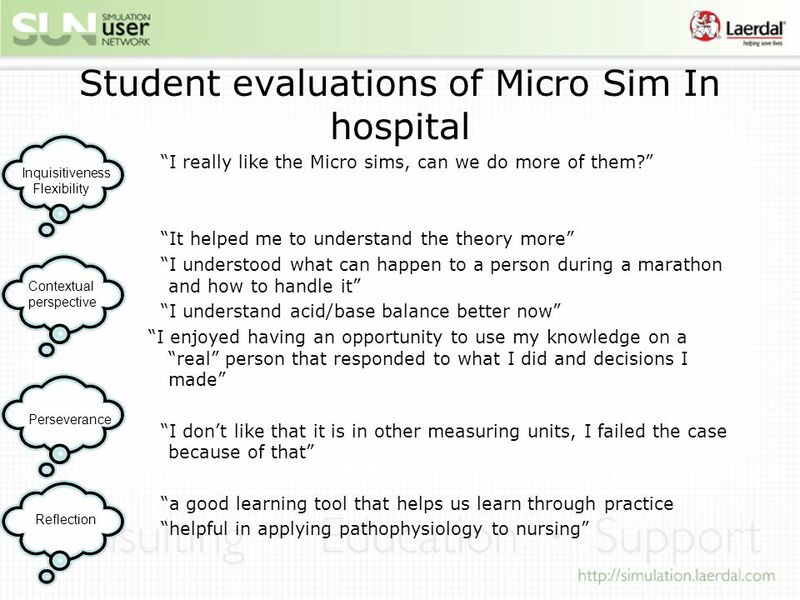 16 Faculty Evaluation of Micro Sim In Hospital used in a classroom setting The Micro Sim for chest pain (Mr. Winters) enable me to meet the objective discuss nursing and collaborative interventions for: acute pain, ineffective tissue perfusion, and activity intolerance as students cared for a client experiencing angina. 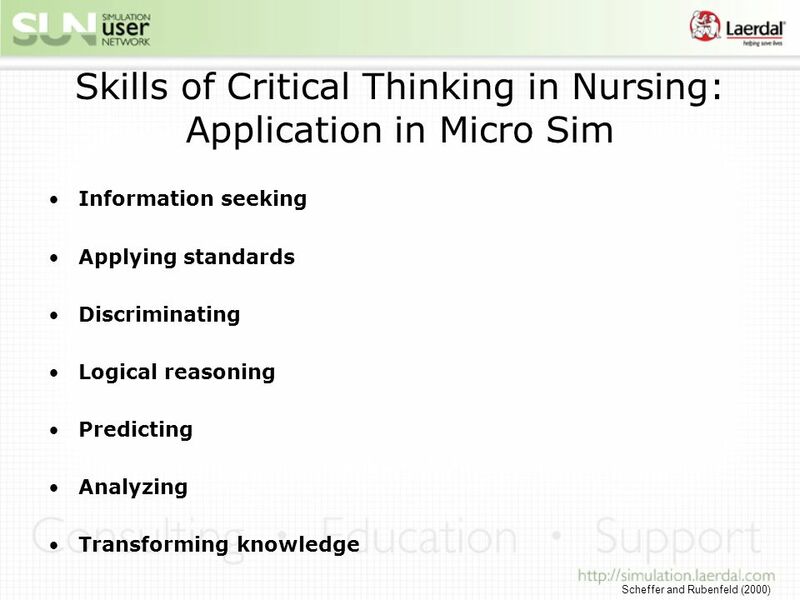 For myself, these were very effective methods of teaching some critical thinking and nursing care. 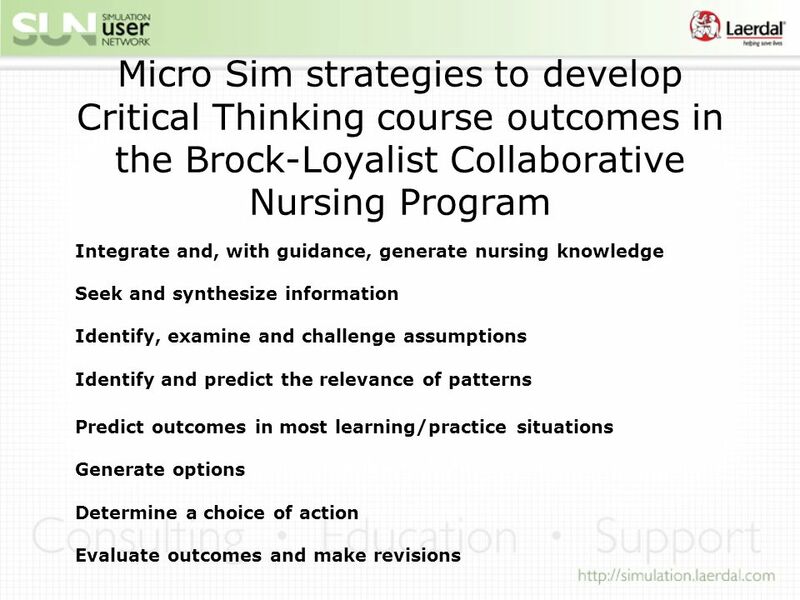 In terms of fitting with my objectives, it gave the students an opportunity to manage a client with hypoglycemia which fit well with my objective discuss independent nursing and collaborative interventions for the diagnosis: Potential for hypoglycemia. 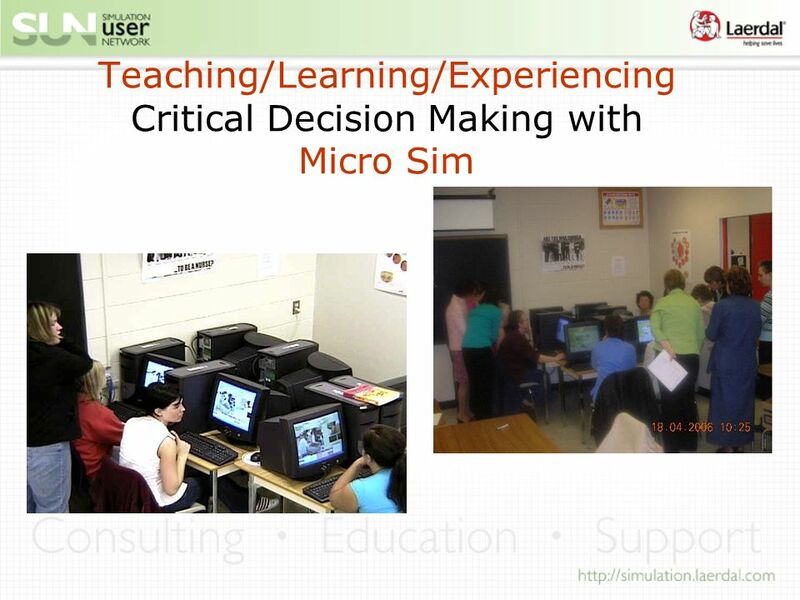 The students enjoyed having an opportunity to use their knowledge on a real person that responded to what they did and decisions they made. 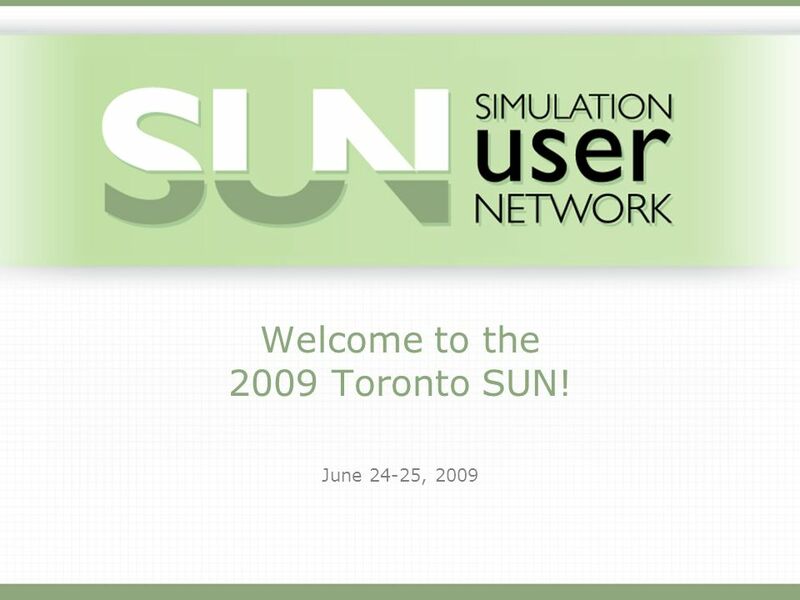 Download ppt "Welcome to the 2009 Toronto SUN! June 24-25, 2009." 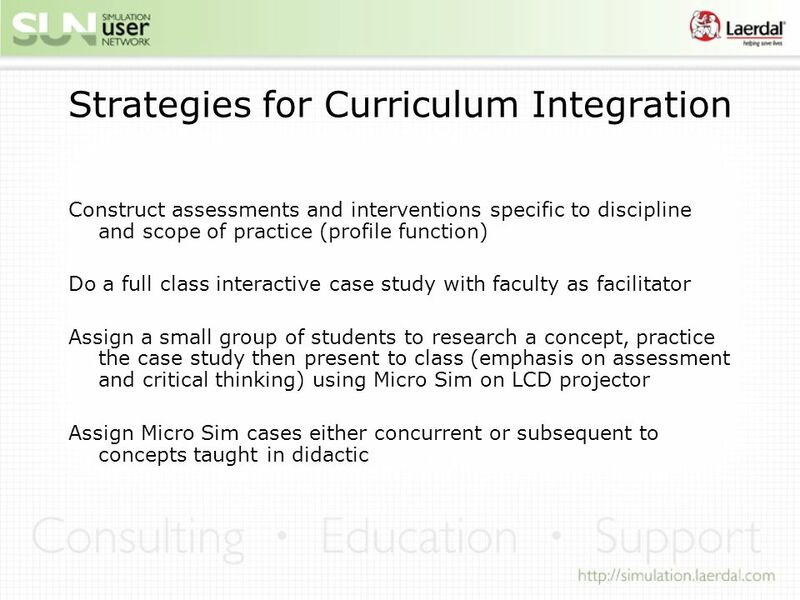 Successful online courses have…... 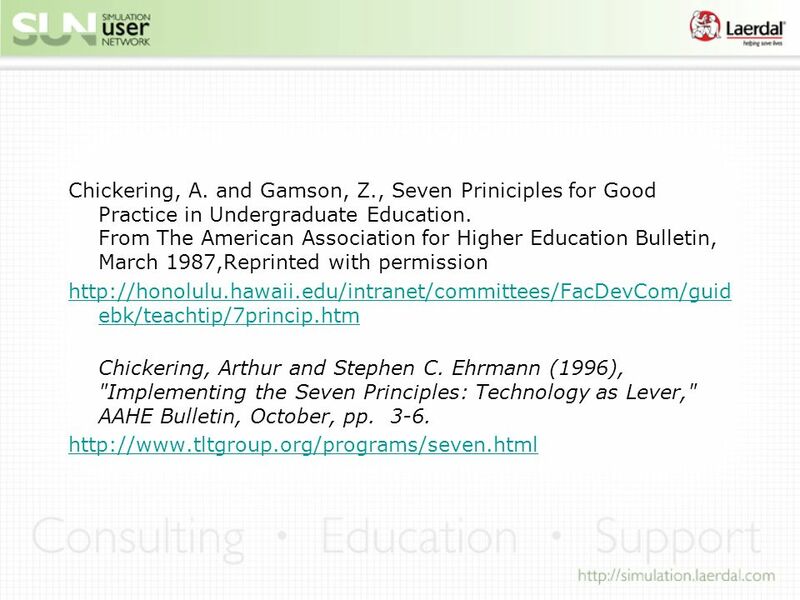 Seven Principles for Good Practice Chickering, A. W. and Gamson, Z. F. (1987). 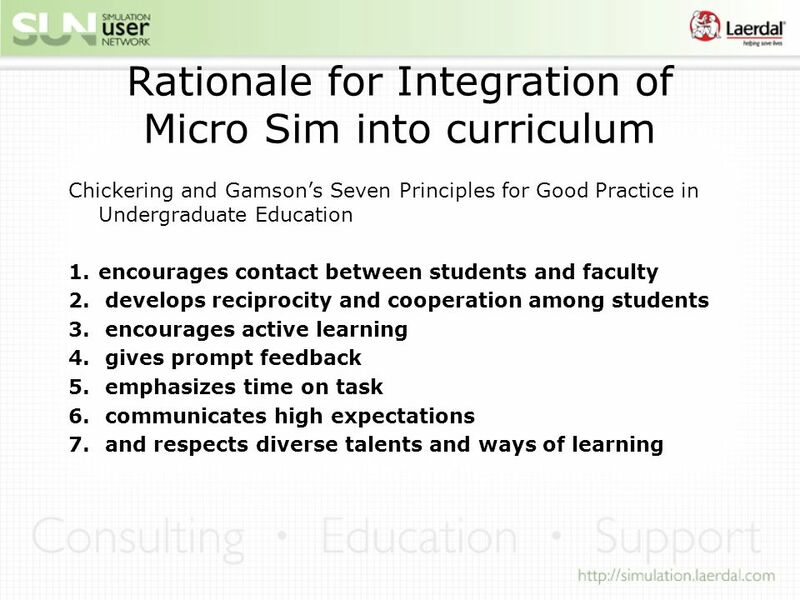 "Seven Principles for Good Practice. 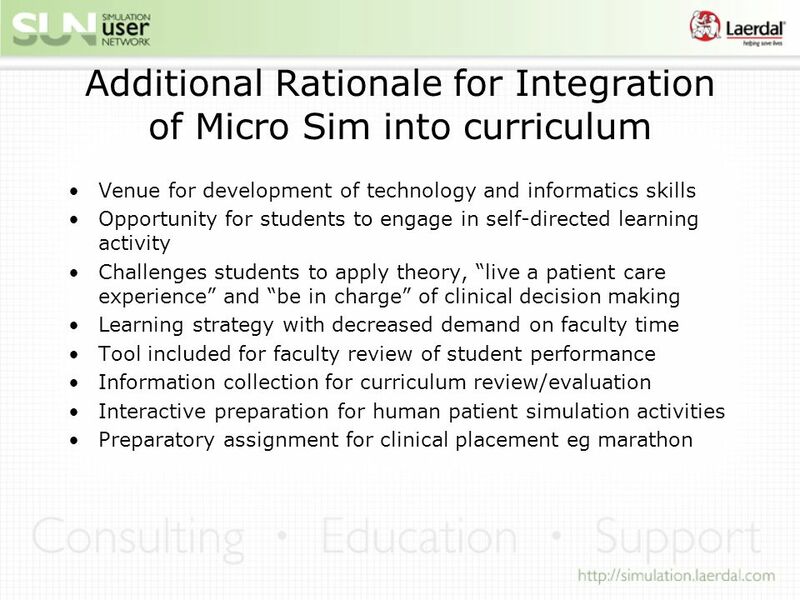 Directorate of Human Resources Successful online courses have….. Welcome to the Learning & Teaching Office New Faculty Orientation Wednesday & Thursday August 8 & 9, 2007. 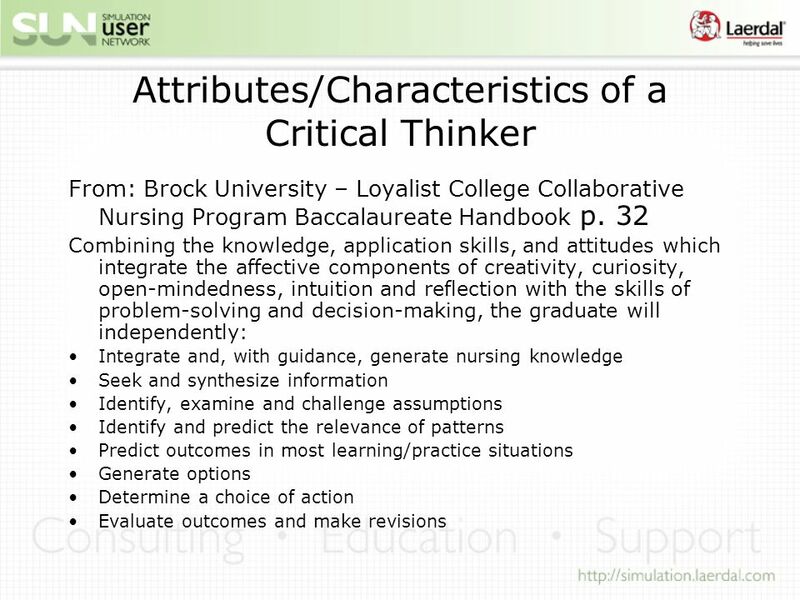 Dr. Craig Campbell St. Edward’s University Online learning and teaching. 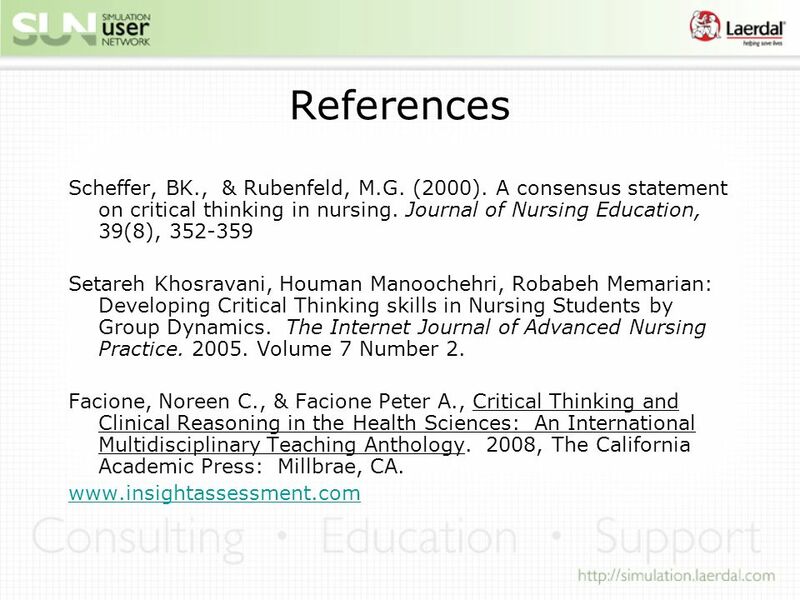 Comparison of Teacher-Centered and Learner-Centered Paradigms From Figure 1-2 in Huba and Freed, Learner-Centered Assessment on College Campuses: Shifting. 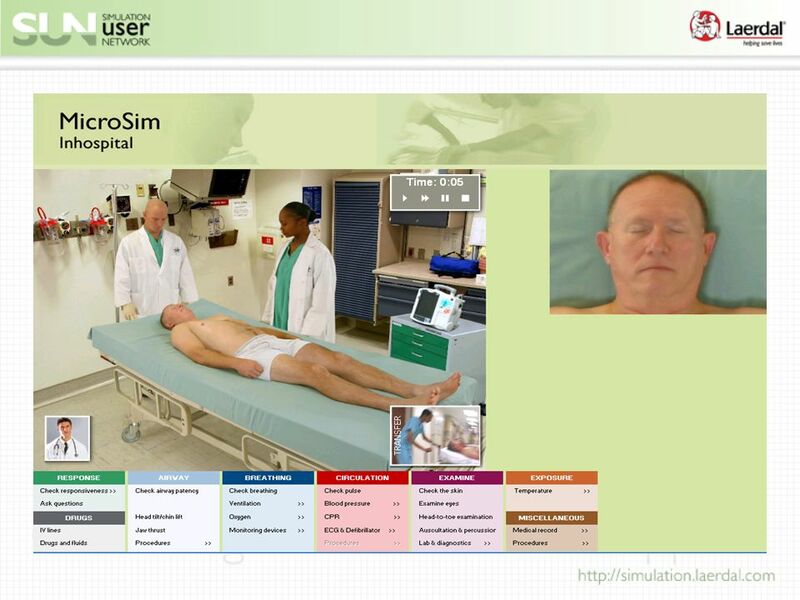 Simulation in the Undergraduate Nursing Curriculum at Queen’s University Belfast: Clinical Skills, OSCE, ILS, High Fidelity Simulation. © International Baccalaureate Organization 2006 The Middle Years Programme At a Glance. Intro Tour of the Male Student Mind In American Higher Education European Access Network National University of Ireland Galway, Ireland June 28, 2007 Tom. 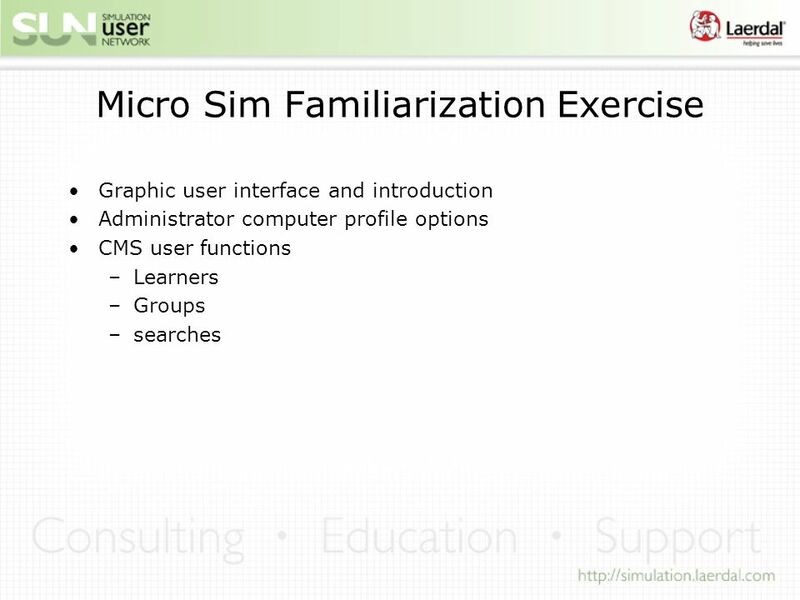 E-Learning The Future is Anytime, Anyplace, and Fun! !